All clients will be deemed to have accepted Creature Comforts terms and conditions (as laid out here) on signature of the contract. Creature Comforts will not confirm any booking until a consultation has been carried out with the client and the contract, with full details of client requirements, has been signed by the client. Full payment for services (agreed either at time of booking or subsequently) is to be made within 7 days of receipt of invoice or, by the date specified on the invoice (for dog walking clients) via cash or bank transfer. If payment is not made within this time 2.5% of the total bill will be added for each day that payment is overdue. 4.The client must provide Creature Comforts with the name and contact number of someone capable of making a decision relating to the pet(s) in an emergency. If the contact is not available Creature comforts reserves the right to consult with a veterinary surgeon and then make a decision which is in the best interests of the animal. 5.The client is responsible for any veterinary bills, no matter how they are incurred, whilst pets are in the care of Creature Comforts. 6.Creature Comforts must be alerted to any behavioural problems with their pets at the time of booking. Failure to do so may result in additional charges or cancellation of any future contract. 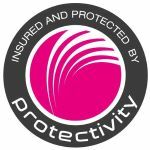 7.Although Creature Comforts holds Public Liability insurance, wherever possible pets should be insured by the client. Creature Comforts reserves the right to refuse a booking for any animal which is not insured. 8.Creature Comforts will care for your animal as you would, and whilst we will make every effort to ensure your pet is well looked after in your absence, Creature Comforts cannot be held liable for any loss, injury or death to a pet either inside or outside of the home whilst in our care. Cancellations – for cancellations of walks for a period of 1 week or more one months notice is required. For cancellations of 1 or 2 days walks a weeks notice is required. If the required notice is not given charges will be applied in full for the cancelled period. Creature Comforts reserves the right to cancel the contract at any time & with immediate effect if the dog does not respond well to the walker and/or other dogs. All dogs will be exercised on a lead unless prior agreement has been reached with Creature Comforts and a disclaimer form has been signed.